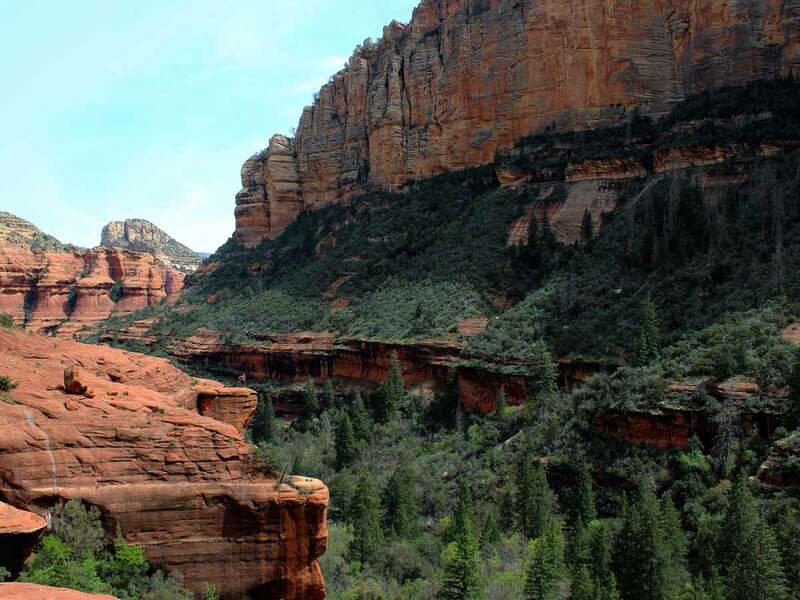 Quintessentially Arizonan, the majestic Red Rocks of the Sedona area offer jaw-droppingly beautiful hikes through tall vermillion canyons, weather carved arches and across soft paths lined with fragrant Manzanita and Juniper. 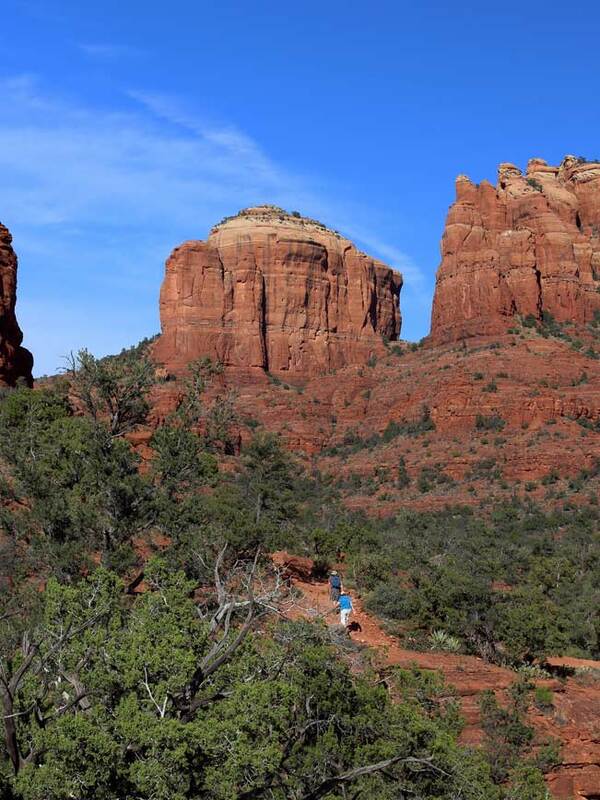 Although open all year, Sedona hikes are best enjoyed during Arizona’s cooler temperatures, September through May. 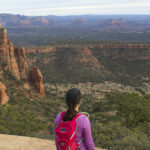 Here are some of the best Sedona hikes. 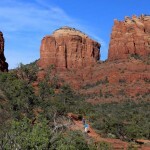 Scroll down to explore Sedona area hikes by difficulty level. Click hike names for full details. 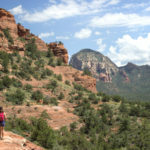 Circling Red Rock Butte, this trail offers phenomenal red-rock and creekside views. From its gently undulating path, upward views of Cathedral Rock impress. 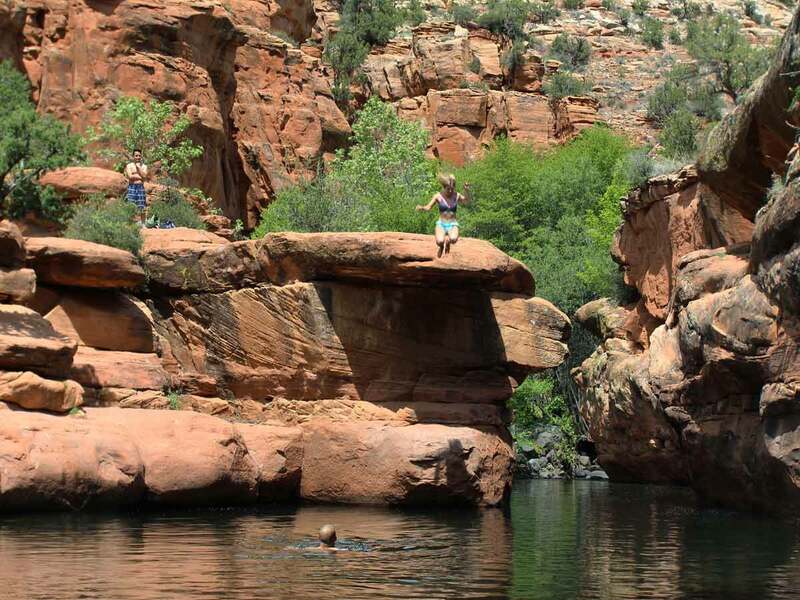 While Oak Creek beckons hikers to take a trailside swim. The irresistible “splash canyon” on Bell Trail is perfect for an icy, spring-fed, dip. 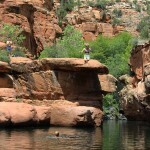 Located 3-miles along this creekside trail, a chilly swimming hole is wedged between tall cliffs. 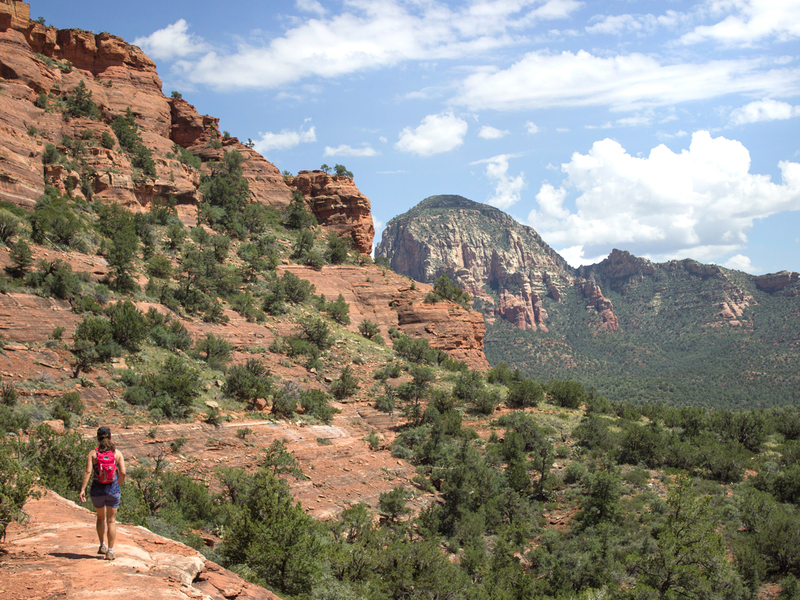 You’ll feel like Superman, soaking in the birds-eye-views over 100′ pines on this beautiful red-rock trail. 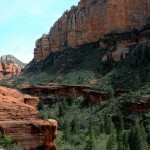 This easy hike follows a level box canyon to a short upwards jaunt. 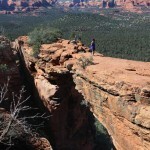 Here a high ledge offers super-hero-like views. This easy mesa-top stroll is framed by picturesque canyon walls. On one side, sculptural canyons appear painterly in gentle pastels. While on the other side, red and purple valleys create a dramatic and colorful backdrop. 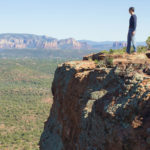 Skimming the base of a tall, horseshoe shaped butte, the Mescal Hiking Trail serves up choice Sedona views. Look closely and you might catch a glimpse of ancient Native American life in the pockmarked cliffs. 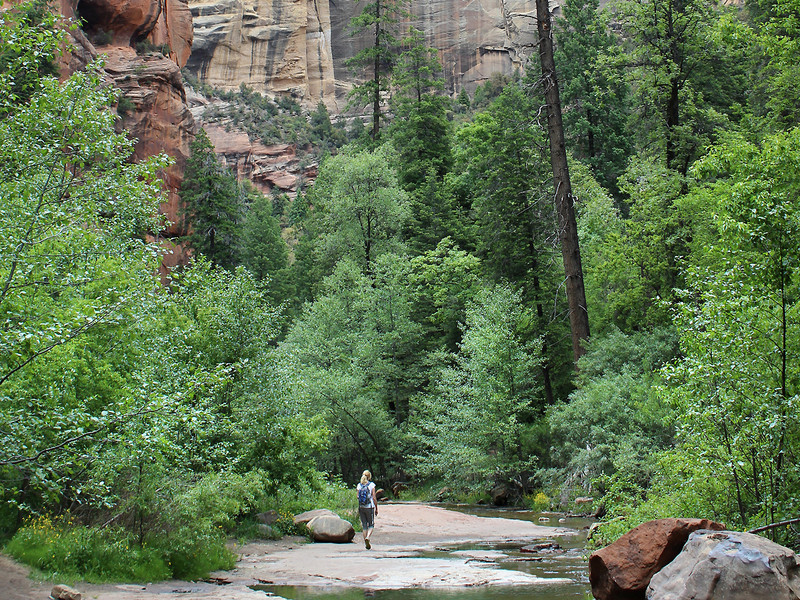 Meandering through a dizzyingly beautiful canyon, this trail plays hopscotch with a gentle stream. 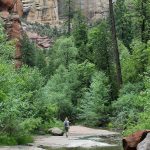 Shaded by tall trees and sky-high cliffs, the West Fork hiking Trail is gorgeous year round, making it a Sedona area favorite. 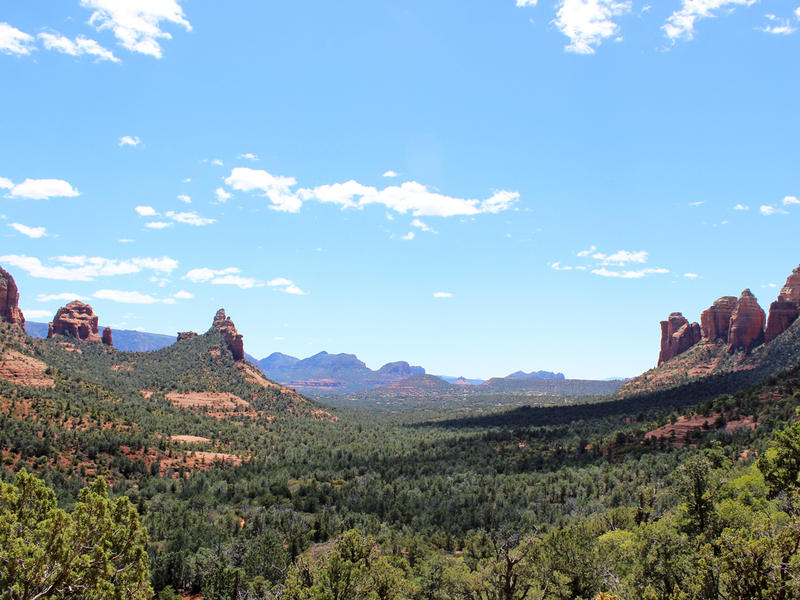 This trail is a scenic jackpot: short, sweet, and ending at Sedona’s prize arch! 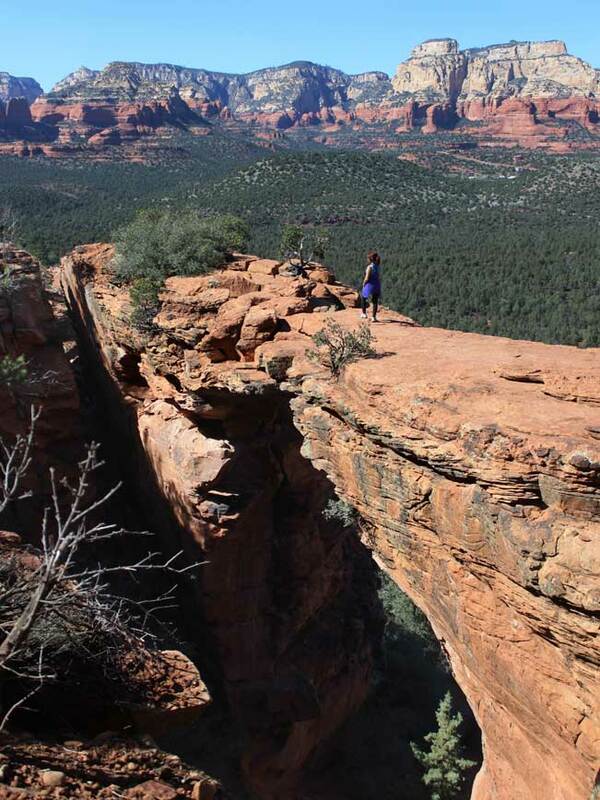 A wide, treelined pathway leads to Devil’s Bridge, a 50′ high, natural arch, nestled into a beautiful valley. “Runway strut” across anyone? 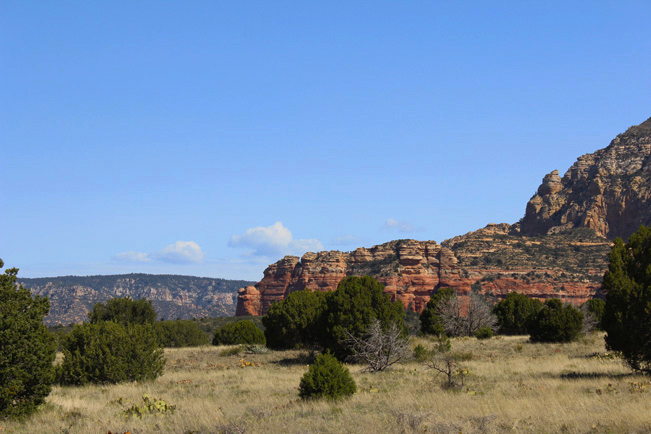 Explore the top of a stunning red rock mesa on this short Sedona hike! 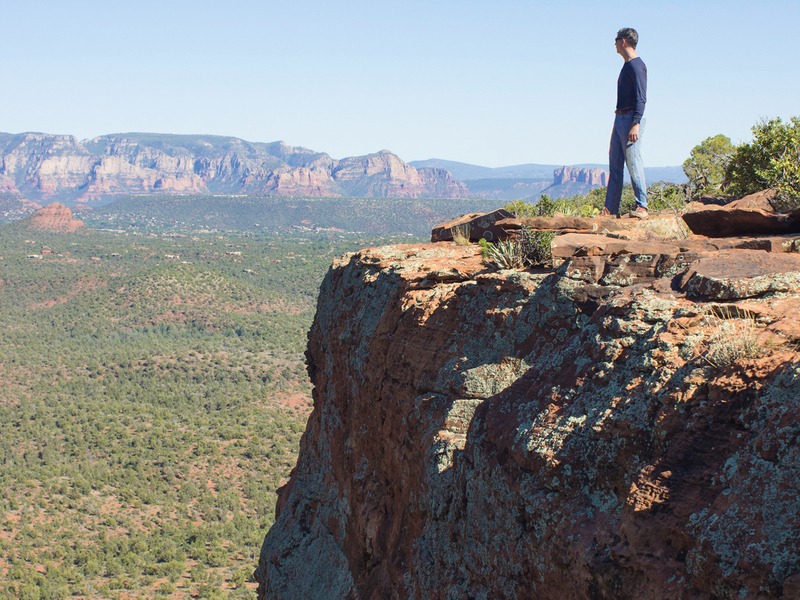 Climb the side of an ancient butte to an easy-to-explore, football-field-sized platform. 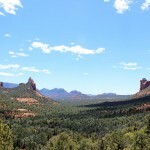 Circling the rim, awesome views of Sedona span for miles. 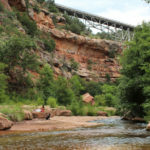 Experience Oak Creek close up, on this creekside hike! 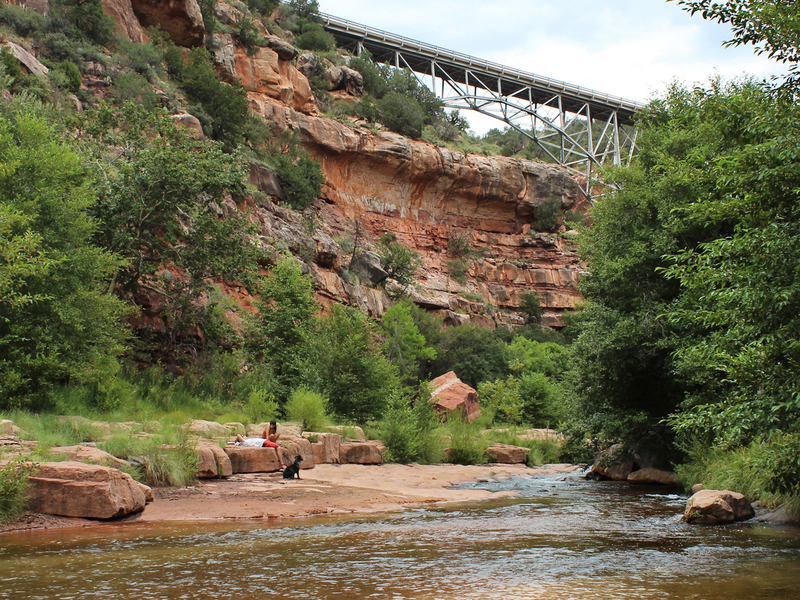 Traverse the red rock ridges and treelined riverbanks along refeshing Oak Creek. Then catch some sunshine and a dip beneath Midgley Bridge. 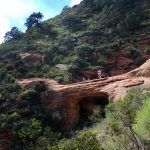 Long views, a crazy-big sinkhole, sacred pools, and a cave-lined ridge are cool feature on this hike, that mashes-up some of the area’s wackiest red-rock formations in one short trail. 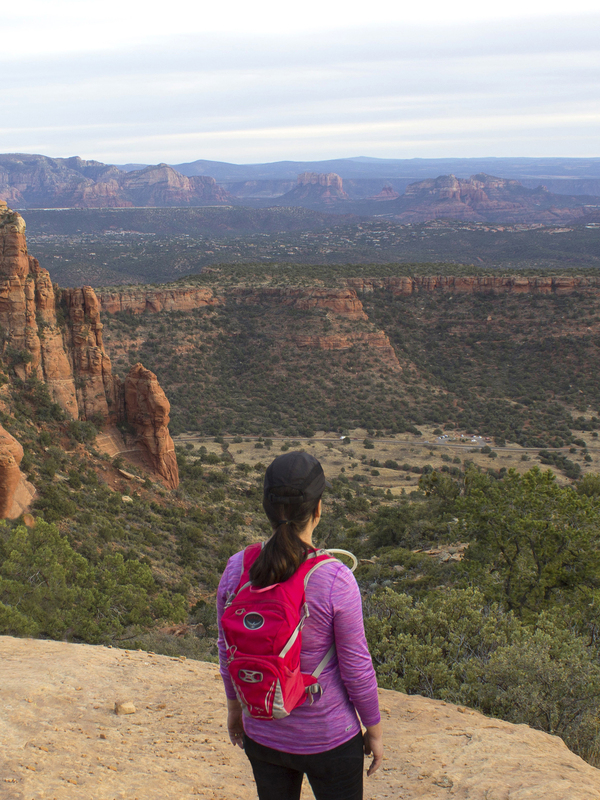 Hands down, Sedona’s best views are caught atop the Bear Mountain Hiking Trail.This absolutely gorgeous trail keeps the heart-pumping. And the entire hike is punctuated with roaringly-good 360° views! 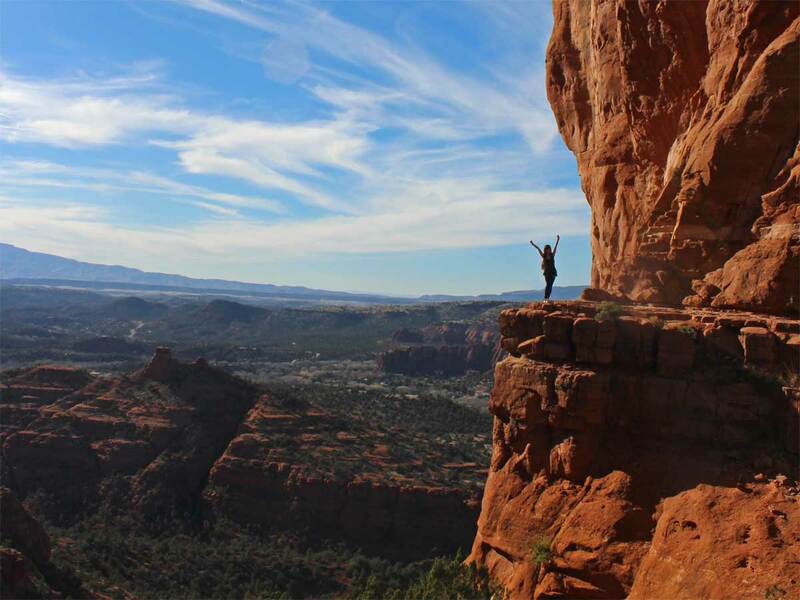 An almost “too-good-to-be-believed” photo-perfect ledge with expansive views caps this steep hike up one of Sedona’s most iconic spires. 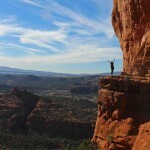 If you like rock scrambles, this hike is for you. Short, but demanding. 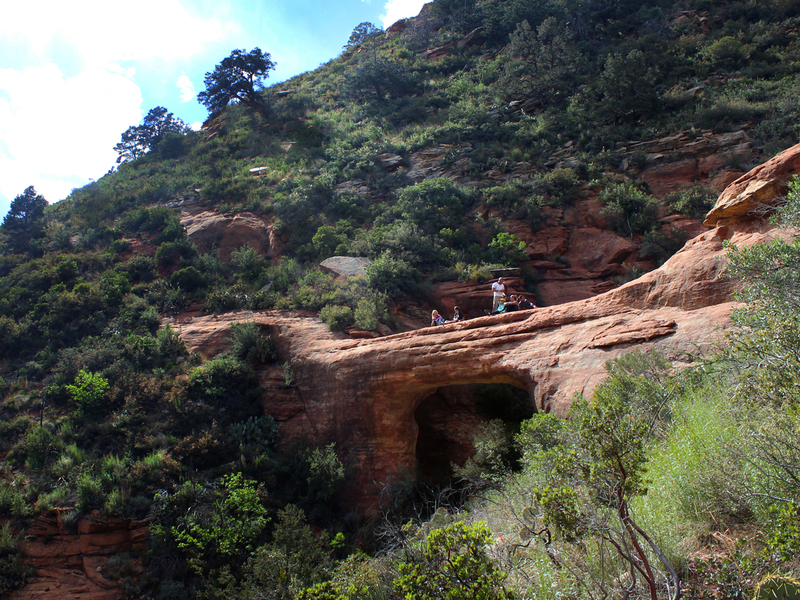 The hike to Vultee Arch, a 50′ huge, red rock bridge, climbs up and over a high Oak Creek canyon. The arch is worthy both for its ginormous size and its tucked-in location, away from Sedona’s sometimes maddening crowds.